The Finnish military used hand-held underwater depth charges as a warning against what could be an unidentified foreign submarine in waters near the capital Helsinki, amid growing tensions with neighboring Russia. 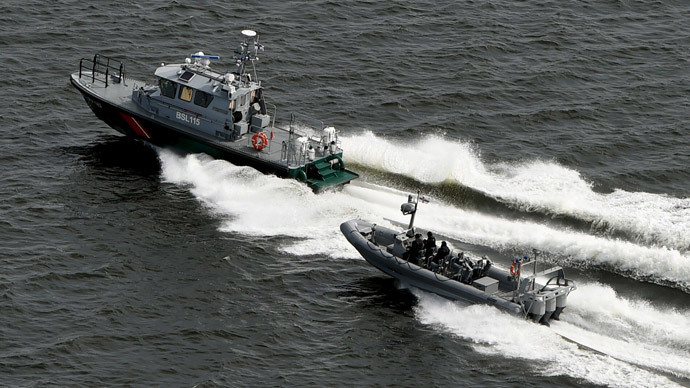 The Finnish Navy first detected an unidentified underwater object on Monday. Surface ships were dispatched to the area for a search operation. More contacts were made throughout Monday night and into Tuesday, at which point the military decided to use depth charges about the size of hand grenades. "The bombs are not intended to damage the target, the purpose is to let the target know that it has been noticed," Commodore Olavi Jantunen told the Helsingin Sanomat newspaper, as cited by Reuters. According to the Defense Ministry, it rarely resorts to using such charges. Despite the search operation, Finland was not able to verify whether the foreign object was indeed a submarine. "We strongly suspect there has been underwater activity that does not belong there," Defense Minister Carl Haglund told Finnish news agency STT, adding: "Of course it is always serious if our territorial waters have been violated." Haglund said the suspected submarine has most likely left the area and the incident is now being investigated. Last October, Finland's neighbor Sweden scrambled over 200 troops, helicopters and ships on a week-long search for a suspected Russian submarine in the Stockholm archipelago. Amid rising tensions over the Ukrainian crisis, Stockholm was quick to accuse the Russian Navy of violating its territorial waters. Months later, a Swedish admiral revealed the "submarine" was in fact a civilian workboat. Sweden has since changed the designation of the vessel in reports about the incident. Earlier this month, increasingly tense relations between Russia and Finland and Sweden were ramped up when Russia hit out at both countries after they made statements saying they wanted closer cooperation with NATO. “Contrary to the past years, Northern European military cooperation is now positioning itself against Russia. This can undermine positive constructive cooperation,” Russia's Foreign Ministry said in a statement.